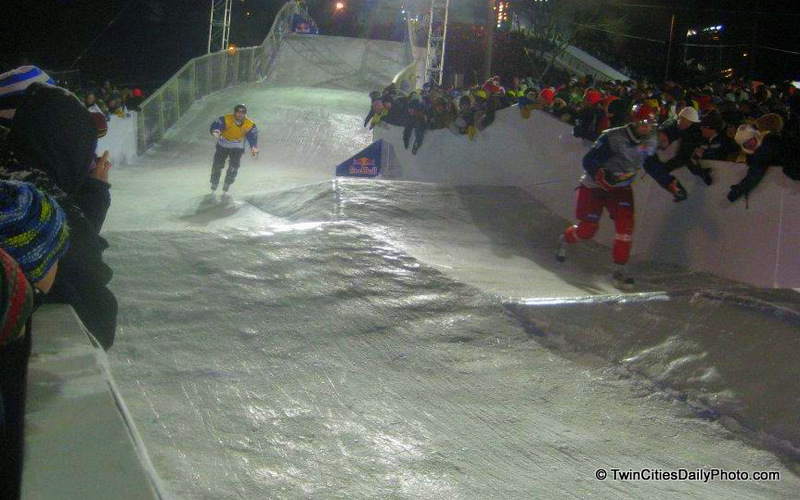 Red Bull Crashed Ice? Yeah, I had never heard of it either until this year, but it looked to be quite the event here in St Paul. Four ice skaters at a time, race down hill on a dangerous track, the winner moves on until a champion is crowned. While I didn't make it down to the event, Justin so graciously braved the cold weather and provided a great close up action shot of the event. Thank you sir! St Paul was selected as the only North America city to host such event. And, I read on the internet that there was a serious injury among the contestants. Can't imagine why! !